See our video of the boats after we unloaded them from the truck! HERE’S WHAT YOU’VE ALL BEEN WAITING FOR! The RPM and RPM MAX are BACK! no additional orders will be considered. For the first time in 12 years, the RPM MAX is back! Whatever you want the letters to stand for – Radical Play Machine or Revolutions Per Minute – the RPM remains one of the best-selling whitewater boats ever manufactured. 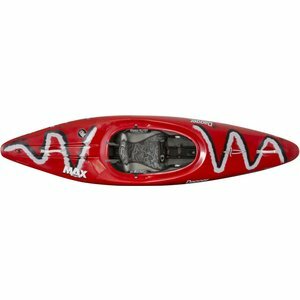 The RPM MAX is designed for bigger paddlers wanting RPM performance with more room and features the same Countuour Ergo Outfitting as the RPM. With a flat stern for big squirts, solid stability in a forgiving and easy to roll displacement hull, and slicey ends for carving. It surfs, runs rivers, and plays the eddylines for intermediate to advanced paddlers alike. Shred waves, run the river, or pull enders in your favorite hole with a boat that can do it all.